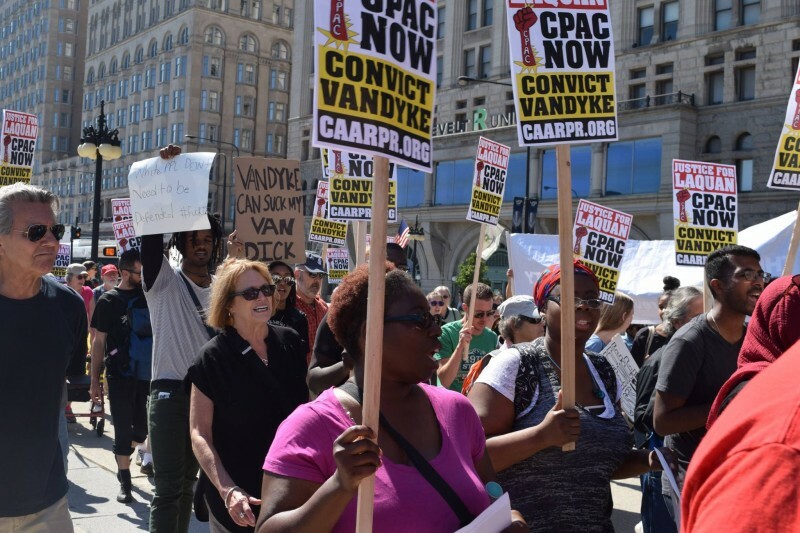 Chicago protest demands: Justice for Laquan McDonald! Convict Van Dyke! | Fight Back! 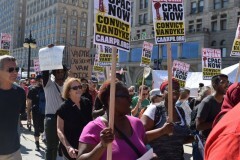 Chicago, IL – More than 100 people rallied at South Michigan Avenue and Congress Parkway, Sept. 15, to demand justice for Laquan McDonald. The demonstration was backed by the Chicago Alliance Against Racist and Political Repression, Black Lives Matter-Chicago, Caucus of Rank and File Educators (CTU), Take On Hate, Arab American Action Network, and the U.S. Palestinian Community Network.